Three companies have combined forces to create a “cinematic” in-seat VR IFE experience, designed to transport passengers to a virtual private jet, beach or yacht, rendered in full HD. Once there they can recline the seat and have a massage. The solution involves the integration of SkyLights’ Allosky headset and InSeat Solutions’ interactive massage system with Stelia Aerospace’s Opal business seat. The massage system also has an auto vibration mode that can synchronize vibrations with IFE content – a feature the companies say could make films feel more immersive, or be used in guided meditation, for example. 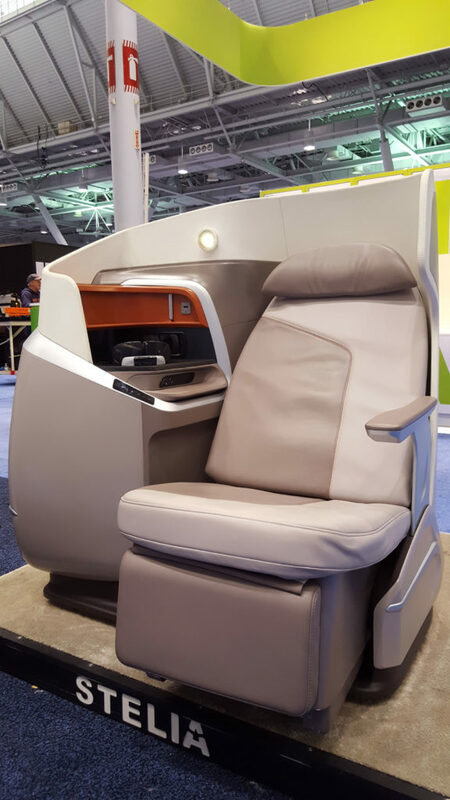 “We are excited to be partnering with Skylights and InSeat to introduce a new way to experience our high-comfort seats,” said Thierry Kanengieser, vice president, cabin interior, Stelia Aerospace. With dedicated storage space on the seat, the devices do not need to be loaded and offloaded or take up room in the galley. The solution is planned as a linefit product, but SkyLights entertainment can also be integrated into existing seats and certified on a fleet-by-fleet basis.